Coil Spring Manufacturer in India, Asha Spring & Engineering Co. is a leading manufacturer, supplier and exporter of Coil Spring in India. We design various type of coil spring as per drawing. We have designed and developed an array of Coil Springs which are laden with many features like high tensile strength, corrosion resistance, durability and flexibility. The raw material used by us is of high quality and is procured from a certified vendor base in the market. 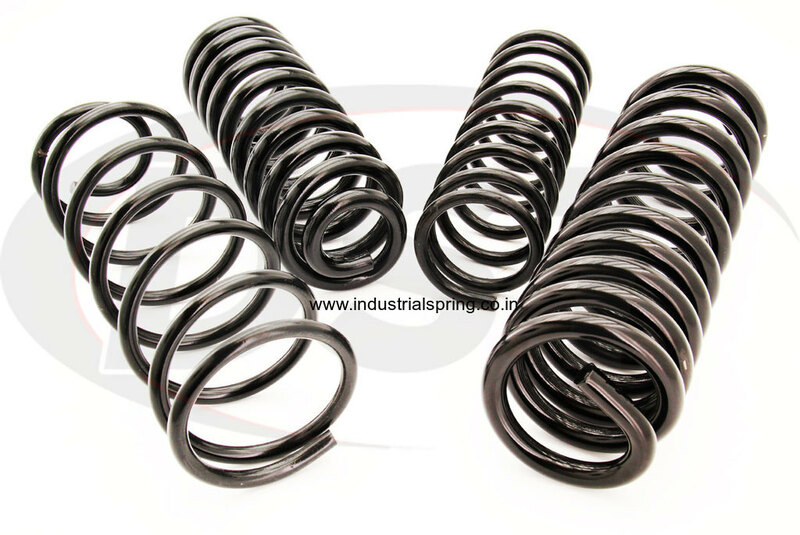 Our clients can also avail from us a wide range of customized versions of these springs at very reasonable prices. Our team of professionals is highly talented and enables us to come up with a wide product line which is widely applicable and useful. Our range of Coil Springs is also known as helical spring. Basically, these springs are mechanical devices which are used to store energy and accordingly release it. Apart from being used to absorb shock, these are also used to maintain a force between contacting surfaces. Our flawless assortment of coil springs provide ultimate resistance to several compressive forces and are selected for displaying high tensile strength and anti-corrosive properties. Controlling Diameter, Outside Diameter Maximum. Inside Diameter Minimum. Pitch Diameter. Wire Size. Decimal size if possible. Material, Kind and Grade. Style of Ends, (see illustrations). Right or Left-Hand Wound. Solid Height: The solid height of a coil spring is often referred as the length of the spring when under sufficient load to bring forward all coils into contact with the adjoining coils and extra load which causes no further deflection. Solid height must be described by the clients as a maximum, with the potential and real number of coils in the spring to be ascertained by the spring manufacturer. Compression Spring Ends: There are four basic types of compression spring ends as shown above. The particular type of ends specified affects the pitch, solid height, and a number of active and total coils, free length and seating characteristics of the spring.